Twitter has become infamous for real-time information knows=n as tweets and online activity. No matter where people are, they can upload information and update tweets for various reasons. Along with this, others can "follow" other people in order to hear what they have to say and to keep up with trends and issues of the day. As such, twitter is a prime place for companies and individuals to report on identity theft and various issues in a way that meets the public eye an in a manner which keeps information current and interesting. The following resources are perfect for those individuals or companies who want information on fraud and identity theft and who want to follow these companies online to keep to date with issues and help available. Identity theft is one of the most popular issues online because of its major presence in today's society. Identity theft is becoming much more common and hazardous to the American people since information is being shared and kept by companies, online systems, and much more. As such, having real-time help could make the difference between saving one's identity and facing a major crisis. The following Twitter accounts provide help specifically for identity theft. As CEO of IDTheftSecurity.com, this individual provides ital. information and help in fighting identity theft. This man is sponsored by several security firms and has been able to help educate and protect several people from identity theft by educating, blogging, reporting, and connecting with various groups to teach about identity theft. The Identity Theft Resource Center is a non-profit organization that specializes in helping identity theft victims. With thousands of tweets and followers, this company offers free assistance and help to people all over the world. They further help by reporting on data breaches, law enforcement, and news reports. This company, powered by Equifax, is a major corporation specializing in identity theft and prevention tips. They provide tips, tools, and information to help individuals and families protect themselves from identity theft issues. 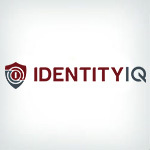 This online company has its expertise in identity theft detection, prevention, and recovery. They provide links to credit companies and reviews of various companies who claim to be able to help treat and prevent problems. This company issues up-to-date information on what problems are being faced by the public to date and what can be done to prevent them from bothering you and your families. Established in 2001, this company has been highlighted by several prominent news companies including The Wallstreet Journal, Oakland Tribune, Today, and much more. This company provides tips, news, and tools to keep you safe and informed. They also provide detection help and recovery aid for those who have already been affected by identity theft. Data breaches are happening more often in today's societies through credit breaches and company hackings. These data breaches can cause major problems as they release personal and financial information to malicious groups and people who cause financial and personal problems for victims. The following companies and individuals provide help and information regarding data breaches through their Twitter accounts. The American Hospital Association endorses this company and they provide comprehensive data breach solutions regarding problems before, during and after data breaches. They provide webinars, blogs, and reports on various data breaches and software which can be used to protect companies and computer systems from malware and viruses that cause data breaches. This individual works as an insurance specialist who focuses on IP, cyber risks, and data risks. She describes how comprehensive insurance is needed to provide a protection from data breaches which have high costs and liability. Her insurance brokerage focuses on handling cyber and data risks which can be tailored for individuals and companies alike. This company is a leading provider of identity theft protection, internet surveillance, and employee benefits to companies, governmental organizations, health groups, and others to provide optimum help and safety from identity theft. They create standards tat meet or exceed current guidelines to keep information secure. As Practice Director of BTRG and IBM, this individual helps clients prevent data breaches and improve information economics in enterprise systems. They provide Oracle and IBM solutions in commercial, governmental, healthcare, and other industries while relaying news and events on twitter and company websites. Online safety is one of the most crucial things an individual or company can focus on if they want to keep information and data secure. Several companies have been under scrutiny lately for not taking precautions and having equipment strong enough to fight off malware and hackers, but the same problem can be made with individual computers and smaller companies. Hackers are always working to steal information, and as such, cyber-security is vital. The next Twitter accounts are made to help specifically with this problem. This company looks to provide the latest technical and analytical reports on hacking, cyber-security, malware, exploits, and other online safety issues. They explain who hackers are, how various malware work to collect information, and vulnerabilities that different online resources have with malware. This individual is a cyber security leader, professor, author, expert witness, and professional speaker who aims to improve cyber-security by educating people on what the risks are, and how to stop them. His company works with IT and legal departments to keep them current with software, alerts, and much more. This alliance is a non-profit organization meant to empower people to use the internet safely and securely. They define and teach about all the malware, viruses, and problems that affect users online. They also inform users how to educate people of different ages about online security along with showing business safety tips and procedures. This company provides internet and enterprise security news, threats, expert analysis, and advice. They educate companies and individuals about malware, crime, mobile awareness, risk, and much more. This company encompasses all that is needed to understand online security. This account is formed by several security professionals who work diligently to report current attacks and cyber-security issues along with tips and practices. This account is perfect for viral definitions and basic information to help online users remain safe while using the internet. This Homeland Security Twitter Account is dedicated completely to cyber-security. They provide an overview, definitions of networks, current crime news, and tips on what people can do to stay safe and report suspicious activity. Twitter accounts provide a wide range of expertise and help from legal and medical authorities who have taken the time to share information and warnings with the public. Since medical and health fraud cost Americans billions of dollars yearly, several individuals and companies will be searching for expert help and advice which is shown in the next few Twitter accounts. This certified nurse is a healthcare fraud fighter, public speaker, and CEO of Medical Business Associates. Both she and the company strive to help companies and individuals see the problems in healthcare reform and give prevention tips. They look into medical fraud, identity theft, insurance fraud and several other issues to inform the public of what needs to be done. This company provides identity data services for healthcare and financial corporations. They deal with fraud prevention, verifications, fundraising, law enforcement and more. The company provides resources for help along with news and information to keep individuals and industries informed. The National Health Care Anti-Fraud Association, founded in 1985, is the leading national organization focused on fighting healthcare fraud. Their objective is to serve the public interest in improving the detection, investigation, civil and criminal prosecution and prevention of healthcare fraud. This Twitter account is a collection of disseminating stories and reports of Medicaid and Medicare fraud. They also write about governmental healthcare topics. It is a place to see real-life consequences and problems with Medicaid and Medicare fraud being experienced by several Americans. This alliance consists of 32 health insurance companies with the sole purpose of preventing and detecting fraud within the healthcare system. They work together with domestic and legal partners to further investigations, complete prosecutions, and inform the public about healthcare fraud. Mobile devices introduce new and potentially dangerous loopholes and problems with internet security. The use of mobile devices in increasing rapidly, and as such, many people are new to how the devices work and how easily they are hacked and breached. The following Twitter accounts are dedicated to educating and helping people avoid such problems on their mobile devices. This company uses Twitter to show the latest IT, cloud, mobility, and security news. This company is a leading contender in mobile device sales and as such, several people look to this account for current alerts, help, and warnings of danger on their home and mobile devices. McAfee is a leading security systems company and they use this Twitter account to respond directly to harms and issues with mobile device safety. They deliver news, threat warnings, tips, and other information necessary to keep mobile devices safe for consumers. This company reports on all types of security breaches online, including mobile security, email scams, data breaches, and network vulnerabilities. They focus on all threats needed to be reported on to maintain a secure connection and they help keep the public informed on issues pertaining to mobile security. This company specializes in mobile device trends, tips, and security. They report safety alerts for all types of phones including Androids, iPhones, smart devices, and much more. As a Symantec backed company, they offer sound advice and help in all mobile situations. A security entrepreneur, mobile security specialist, and founder of the ID THEFT PROTECT COMPANY controls this Twitter account. They provide technical and business evaluation of mobile security technology. Along with that, they give expert advice and help tools for people all over the world.